Chris is the founder of Arb Matters and an expert on arboriculture in the UK. He has been working in the tree care industry for almost 20 years. During this time he has developed a wealth of experience and knowledge. His work takes him all over the UK and abroad, offering tree care solutions, delivering Lantra Awards and bespoke training courses and City and Guilds NPTC assessment. He carries out assessor verifications, Arboricultural Association Approved Contractor Assessments, health and safety consultancy and quality audits for the leading arboricultural awarding organisations. He also acts as expert witness and completes accident investigation. Chris has spoken at several conferences and given many practical demonstrations. You’ll often find him at prominent industry events giving information on industry good practice, legislative requirements, equipment use and system configuration. Chris’s name has become synonymous with high quality and efficiency. Arb Matters are pleased to offer a comprehensive range of advisory and guidance services to clients, including health, safety, environmental and quality compliance, pre-tender and PQQ advice, accreditation information and advice (CHAS, ArbAC, Safecontractor, NHSS18, ISO: 9001, 14001, OHSAS 18001), and Lifting Operations Lifting Equipment Regulations (LOLER) thorough examinations. Arb Matters Ltd are able to provide Expert Witness reports, alongside preliminary opinion to instructing clients in matters relating to arboricultural and forestry personal injury and fatality. As a company we have experience acting as both a Party Appointed and Single Joint Expert in civil and criminal cases. Working within a framework of industry good practice and legislative requirements, Arb Matters offers a range of forestry and arboricultural training and assessment services. 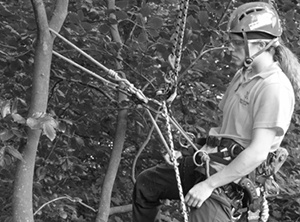 Utilising instructors who combine extensive underpinning knowledge and practical ability, a range of courses are available to meet the needs of existing or potential forestry operators and arborists. 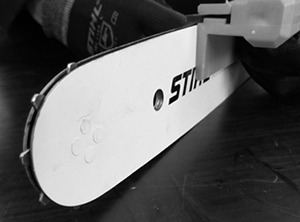 An extensive suite of courses ranging from ground based chainsaw training, aerial tree work operations, forestry and arboricultural machinery and increasingly popular bespoke training solutions can be provided. From crown reduction to complete tree dismantle, Arb Matters provides a range of arboricultural services to meet the needs of our clients. 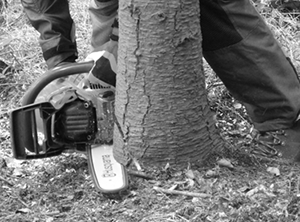 All tree works are completed in accordance with British Standard BS3998:2010 Recommendations for tree work, and are undertaken by only proficient, insured and knowledgeable arborists.